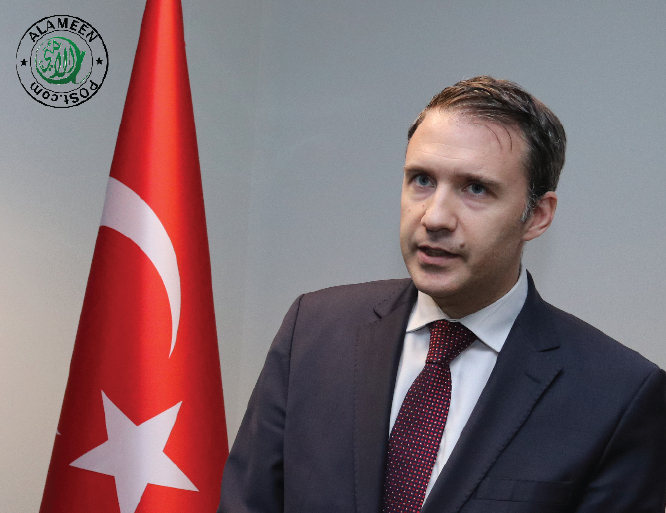 On Sunday July 15th, The Consulate General of the Republic of Turkey in Vancouver commemorated Democracy and National Unity Day at their Vancouver Office. Anil Bora Inan -Consulate General of the Republic of Turkey in Vancouver gave a speech detailing the events as it unfolded on July 18-2016. The ceremony was followed by a display and photo exhibition of the failed a coup d'état which was attempted against state institutions, including the government and President Recep Tayyip Erdogan by the Fethullah Gülen – deemed to be a terrorist organization by the Turkish Govt. WOE unto every slanderer, fault-finder!